The individual standpoint is not antagonistic to collective norms, only differently oriented. 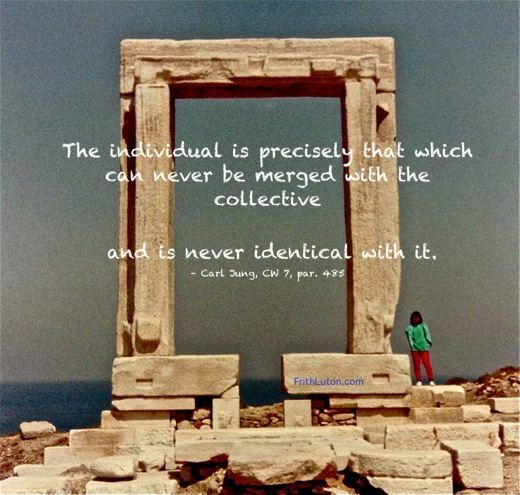 Jung believed that the survival of the individual within a group depended not only on psychological self-understanding, but also on the personal experience of a higher truth. Photo: Frith at the temple at Naxos, Greece.